Dude, those things are BAD for ya! 1. It's not real. All sightings are mistakes or hoaxes. 2. Bigfoot is a missing link, like remnant Neandertals, Paranthropus, Homo Erectus, etc. 3. Bigfoots are nocturnal people, like remnant Indian populations. 4. Bigfoot are human hybrids engineered by extra-terrestrial entities. 5. Bigfoots are extraterrestrial (alien) entities that relocated here for a puropse. 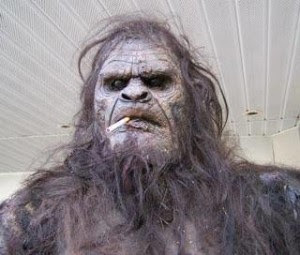 Mr. Bizzaree Bigfoot, an accomplished journalist who likes to keep his real name out of the blog-o-sphere, does such an excellent job of breaking it all down that I will simply direct the reader to his Bizarre Bigfoot blog for the interest discussion and his fascinating conclusion. I will offer that one big reason why I'm endorsing his discussion is that I make the same journalistic journey in in my latest book Edges of Science and I arrive at very similar conclusions. Do great minds think alike? You decide. Either way, Bizarre Bigfoot's essay is great stuff. 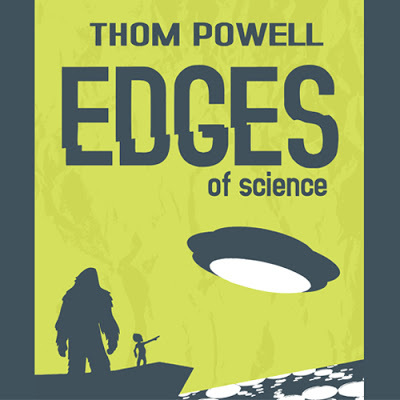 If you are curious about my book, you can click on the sidebar picture of the Edges of Science cover on this web page. Oh, and if you happen to be in the neighborhood of Portland, Oregon on Friday, April 15th, you can mail your taxes at the downtown post office on NW Hoyt, the stroll on over to the Lucky Labrador brewpub on NW Quimby and see my good friend,TV star Cliff Barackman, present his take on "What is Bigfoot?" Click on this link for details of that event. I'll be there, too, but Bob Gimlin won't be, because he is resting up for a late night spot on Coast to Coast AM the next night, beginning at 10 p.m. PST. He will be interviewed by Coast to Coast AM 's most knowledgeable sasquatch scholar, Connie Willis. By the way, You have until Monday to mail your taxes, due to some weird federal holiday on Friday that they honor in Washington, D.C. Don't quote me on this, but I'm pretty sure it's true. I do not believe that Bigfoot is a real living thing. I could either be a missing link or it doesn't exist at all and everything else was a hoax.